Yesterday, the Large Business & International (“LB&I”) section of the IRS announced 3 more campaigns. Our previous post about the campaigns can be found here. The section 482 regulations and the OECD Transfer Pricing Guidelines provide rules for determining arm’s length pricing for transactions between controlled entities, including transactions in which a foreign captive subsidiary performs services exclusively for the parent or other members of the multinational group. The arm’s length price is determined by taking into consideration data available on companies performing functions, employing assets, and assuming risks that are comparable to those of the captive subsidiary. Excessive pricing for these services would inappropriately shift taxable income to these foreign entities and erode the U.S. tax base. The goal of this campaign is to ensure that U.S. multinational companies are paying their captive service providers no more than arm’s length prices. The treatment streams for this campaign are issue-based examinations and soft letters. U.S. persons are subject to tax on worldwide income from all sources including income generated outside of the United States. It is not illegal or improper for U.S. taxpayers to own offshore structures, accounts, or assets. However, taxpayers must comply with income tax and information reporting requirements associated with these offshore activities. The IRS is in possession of records that identify taxpayers with transactions or accounts at offshore private banks. This campaign addresses tax noncompliance and the information reporting associated with these offshore accounts. The IRS will initially address tax noncompliance through the examination and soft letter treatment streams. Additional treatment streams may be developed based on feedback received throughout the campaign. Form 5471, Information Return of U.S. Persons With Respect to Certain Foreign Corporations, must be attached to an income tax return (or a partnership or exempt organization return, if applicable) and filed by the return’s due date including extensions. Some taxpayers are incorrectly filing Forms 5471 by sending the form to the IRS without attaching it to a tax return (or partnership or exempt organization return, if applicable). If a Form 5471 is required to be filed and was not attached to an original return, an amended return with the Form 5471 attached should be filed. The goal of this campaign is to improve compliance with the requirement to attach a Form 5471 to an income tax, partnership or exempt organization return. As with the other campaigns, if you are a taxpayer under LB&I’s jurisdiction and your return involves identified issues, it would be advisable to anticipate an audit and act accordingly. Recently, the IRS issued guidance for its Office of Appeals about the changes to partnership audit procedures under the Bipartisan Budget Act of 2015 (“BBA”). BBA repealed the TEFRA partnership audit procedures “replacing them with an entirely new centralized partnership audit regime.” Unless a partnership elects out, the IRS may now assess and collect tax underpayments from the partnership rather than pursuing payment from the partners. The Office of Appeals is an independent office within the IRS that generally attempts to resolve disputes at the conclusion of an audit. Much of this guidance refers to internal Appeals procedures for handling cases under the BBA audit regime. A few things of note, however. First, this guidance reveals that the IRS is treating BBA appeals as a centralized issue and using many of the same employees who handled TEFRA audits. Second, as before, any case going to Appeals must have at least 365 days remaining on the statute of limitations. Most importantly, this guidance reveals that the IRS has begun preparing for partnership audits under the new BBA procedures to begin reaching Appeals. It also signals that taxpayers may see a significant increase in the number of partnership returns being audited and going to Appeals. Indeed, BBA was enacted in part to ensure more audits of large partnerships. Anticipating such an uptick in audits, taxpayers should be prepared for them and in particular ensure that their partnership agreements have been updated to ensure compliance with the new BBA rules. We have previously blogged about some of those rules here, here, and here. If you have any questions about this post, please contact Jeff Erney at Jeffry.Erney@dentons.com or (202) 496-7511 or Peter Anthony at peter.anthony@dentons.com (202) 496-7961. In the last few week, the Denver-based United States Court of Appeals has issued two decisions important to Colorado’s burgeoning cannabis industry. Both cases relate to the applicability of section 280E of the Internal Revenue Code. Section 280E denies a taxpayer all deductions and credits for any amount paid or incurred by a business that traffics in controlled substances, as defined under federal law. This provision has been a thorn in the side of cannabis companies operating lawfully under state law, significantly increasing their cost of doing business, as they generally must report more income and pay more tax than they otherwise should under general tax principles. In both cases, the Court evidences a hostility to arguments centered around the criminal element of 280E. In determining that section 280E applies, the IRS is essentially determining as a matter of fact that a taxpayer is (in the eyes of federal law) engaging in an illegal business. The Court has not been sympathetic to the underlying concern that the federal government could use the IRS’s auditing and summons authority as a back-door to building a criminal case against cannabis companies. In both cases, the criminal element has not swayed the court. Each case is described in more detail below. In Feinberg, the Tenth Circuit affirmed the Tax Court’s determination that the taxpayer was not entitled to deductions and credits for its medical marijuana dispensary pursuant to section 280E. Much of the opinion focuses on the Tax Court’s insertion of a substantiation issue not raised by the IRS in its notice of deficiency, but ultimately the Court affirmed the Tax Court on the basis that the taxpayers had not introduced any evidence to show that the IRS erred in determining they were in the medical marijuana business. As such, the opinion does not address the scope of the section 280E bar, but it does reaffirm two important points. First, it held that the taxpayer, not the IRS, bears the burden on section 280E. Also, it rejects an argument many cannabis companies appear to be making in 280E cases — that requiring them to prove that 280E does not apply violates the Fifth Amendment privilege against self-incrimination. Most cases in the 280E space involve corporations, which have otherwise have no fifth amendment rights. Here, the taxpayers were faced with the Hobsonian choice of either providing evidence that they are not engaged in the trafficking of a controlled substance or forgoing the tax deductions available by the grace of Congress. This did not sway the court and it refused to see that placing the taxpayer in such a position constituted a violation of their fifth amendment privileges. In High Desert Relief, the Tenth Circuit affirmed district courts’ denials of the taxpayer’s motions to quash summons issued to third-party banks. High Desert Relief (“HDR”) is a cannabis company that had refused to comply with IRS’s Information Document Requests (“IDRs”) unless the IRS assured HDR that it would not use that information in a subsequent criminal investigation. The IRS refused and it issued summons to third-party banks. In several district courts, HDR sought to quash the summons, which the courts rejected. On appeal, HDR put forth two arguments: First, it argued that the district court erred when it determines that the IRS satisfied its burden under the Powell factors and that the IRS’s investigation did not proceed in good faith. Second, it argued that the district courts erred in not applying a “dead letter rule” to the IRS’s motion to enforce. Each will be described in more detail below. As to the first, under United States v. Powell, 379 U.S. 48, 57 (1964), the IRS demonstrates it issued a summons in good faith when it meets four factors: (1) the investigation will be conducted pursuant to a legitimate purpose”; (2) “the inquiry may be relevant to the purpose”; (3) “the information sought is not already within the Commissioner’s possession”; and (4) “the administrative steps required by the [Internal Revenue] Code have been followed. Once the IRS satisfies this “slight” burden, the taxpayer must demonstrate that enforcement would constitute an abuse of the court’s process. The IRS must also demonstrate that it has not referred the matter to the Department of Justice for criminal prosecution. Here, the IRS satisfied this burden by putting forth an affidavit from an IRS agent that stated no referral had been made. It did not matter that the IRS indicated that it was investigating whether section 280E applied. As to the second factor, HDR argued that the investigation did not have a legitimate purpose because it is essentially a disguised criminal investigation. In examining 280E, the IRS would be determining that HDR would be engaging in criminal activity, which is outside of the bounds of its statutory authority. The Court rejected this argument for lack of evidence. The Court continued to find that the remaining factors were satisfied. As to the second, HDR argued that the IRS cannot deny it deductions pursuant to 280E because “the underlying public policy that § 280E purports to vindicate as to marijuana trafficking–that is, the policy regarding marijuana trafficking embodied in the [Controlled Substances Act]–is a ‘dead letter.’” There is a limited exception to the general deductibility of ordinary and necessary business expenses if it would be otherwise against public policy, which HDR characterizes as the very purpose that 280E serves. The Court easily rejected this argument because this exception only applies when Congress has not directly spoken on an issue. Since Congress specifically denied the deductions in 280E, this argument has no applicability here. Yesterday, the Large Business and International Division (“LB&I”) of the IRS announced five new compliance campaigns. This is in addition to the 40 previously announced campaigns discussed here. “Section 901 of the Internal Revenue Code alleviates double taxation through a dollar-for-dollar credit against U.S. tax on foreign-sourced income in the amount of foreign taxes paid on that income. “The objective of the Delinquent Returns Campaign is to encourage foreign entities to timely file Form 1120-F returns and address the compliance risk for delinquent 1120-F returns. This is accomplished by field examinations of compliance risk delinquent returns and external education outreach programs. The campaign addresses delinquent-filed returns, Form 1120-F U.S. Income Tax Return of a Foreign Corporation. “The IRS has agreed to accept the Work Opportunity Tax Credit (WOTC) year of credit eligibility issue into the Industry Issue Resolution (IIR) program (pursuant to Rev. Proc. 2016-19). This campaign addresses the consequences of WOTC certification delays and the burden of amended return filings. The campaign’s objective is to collaborate with industry stakeholders, Chief Counsel, and Treasury to develop an LB&I directive for taxpayers experiencing late certifications and to promote consistency in the examinations of WOTC claims. As with the other campaigns, if you are a corporate taxpayer under LB&I’s jurisdiction and your return involves identified issues, it would be advisable to anticipate an audit and act accordingly. Yesterday, the Large Business and International Division (“LB&I”) of the IRS announced five new compliance campaigns. This is on top of the 35 previously announced campaigns and discussed here. In its announcement, the IRS describes each campaign in detail and how it may approach ensuring compliance with the campaign issue. If a taxpayer has an item related to a campaign, it makes it that much more likely that her return will be selected for examination. Thus, it is important that taxpayers continue to keep up to date on the latest campaigns and make sure their files are audit-ready if a campaign may related to them. The IRS has announced that it will begin winding down its Offshore Voluntary Disclosure Program (OVDP) on September 28, 2018. Under the OVDP, a taxpayer with undisclosed foreign assets or income could come forward to pay tax, interest and reduced penalties in exchange for immunity from criminal prosecution. The IRS will continue its separate Streamlined OVDP, which is only available to certain taxpayers unaware of their international reporting obligations. The program has been very successful, collecting more than US$11 billion in tax, interest and penalties from more than 50,000 taxpayers. With advances in international reporting and information-sharing regimes, the IRS has also aggressive pursued taxpayers who have tried to hide assets abroad. Since 2009, it has indicted 1,545 taxpayers for criminal violations related to international activities with 671 indicted specifically on international criminal tax violations. Even with the OVDP ending, the IRS will not stop vigorously pursuing international tax evaders. Any US taxpayer who may have unreported assets or income abroad should come forward now and take advantage of the OVDP while it is still available. Otherwise, come September, such taxpayers could face huge penalties and potentially even prison. 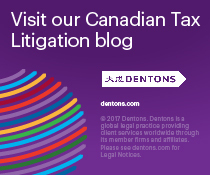 Dentons’ Tax Controversy team has successfully represented over 100 clients in various OVPD and streamlined OVPD proceedings, addressing a wide variety of tax compliance issues from taxpayers all across the globe. 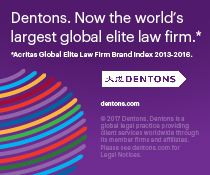 In addition, Dentons is one of few firms that has experience litigating Report of Foreign Bank and Financial Accounts (FBAR) penalties under the Bank Secrecy Act, which are almost always at issue in OVDP proceedings. If you would like to discuss the above further, please contact any of the members of the Dentons Tax Controversy team. In litigation, the IRS will often seek to short circuit a proceeding by filing an early, pre-discovery motion for summary judgment. Taxpayers, in turn, often resist those motions by submitting documentary evidence and affidavits to raise genuine issues of material fact or to highlight the need for further discovery. Inevitably, the IRS argues in rebuttal that such affidavits should be disregarded because they are “self-serving” and (often) uncorroborated with independent evidence. However, the IRS’s historically safe argument just became a whole lot harder to make due to a recent unanimous decision by the full U.S. Court of Appeals for the Eleventh Circuit. In United States v. Stein, the government filed a pre-discovery motion for summary judgment to collect on outstanding tax assessments along with interest and penalties.. In opposition, the taxpayer proffered an affidavit attesting to the fact that she had already paid the taxes the government claimed she owed. The district court granted the government’s motion and rejected the taxpayer’s affidavit. The district court found the affidavit to be uncorroborated and not relevant. A panel of the Eleventh Circuit agreed, holding that her “general and self-serving assertions . . . failed to rebut the presumption [of correctness] established by. . . the assessments.” The panel’s holding was based on the court’s prior decision in Mays v. United States, 763 F.2d 1295 (11th Cir. 1985), which suggested that self-serving and uncorroborated statements in a taxpayer’s affidavit cannot defeat a summary judgment motion. It was on this point that the full Eleventh Circuit disagreed and overruled Mays. In doing so, the court held that under Federal Rule of Civil Procedure 56, an affidavit that is both self-serving and uncorroborated can raise a genuine issue of material fact and defeat an otherwise proper motion for summary judgment. The text of the rule does not forbid such affidavits or require corroboration. Because Tax Court Rule 121 closely mirrors Federal Rule of Civil Procedure 56, the court’s rationale will apply with equal force regardless of fora. This is significant because experience has shown that the IRS will often rely on publically available statements (particularly financial statements) to file and win pre-discovery motions for summary judgment. Now, a taxpayer has strong authority with which to counter the IRS and force the litigation to move into discovery, thus, giving taxpayers the opportunity to more fully develop the record. It is a significant victory for taxpayers. This is the first of a series of deeper dives into the newly finalized partnership audit regulations that cover who can elect out of the new centralized partnership audit regime. We have previously blogged about the regulations here. First, the partnership must have 100 or fewer partners. Treasury Regulation 301.6221(b)-1(b)(1)(i) states that a partnership has 100 or fewer partners if, under section 6031(b), it is required to issue 100 or fewer statements. While these rules seem straight forward, they could become problematic for partnerships with S corporations as partners. Under new section 6221(b)(2)(A)(ii), the statements required to be furnished by an S Corp under section 6037(b) for its taxable year ending with or within the partnership’s taxable year will count towards the 100 or fewer partner threshold. This is in addition to the statement that the S Corp partner received from the partnership. The partnership must also provide the names and taxpayer identification numbers of each person to whom the S Corppartner was required to issue a statement under section 6037(b). Thus, an S Corp partner and its shareholders will all count towards the 100 or fewer requirement. At first blush, it would seem that this partnership qualifies. It has only 50 partners after all. However, under the new rules, the total number of partners for the 100-partner rule is 101 (49 individuals + 1 S Corp + 51 S Corp shareholders) and the partnership cannot elect out of the BBA regime. So, while you may think you are under the 100 or fewer limit, you will want to make sure you tally and include the number of shareholders your S Corp partner has if you are attempting to elect out of the BBA regime. The presence of a single S Corp partner may defeat the election. Who is an eligible partner? Second, each of those partners must be an eligible partner. Treasury Regulation 301.6221(b)-1(b)(3) describes the types of partners that are “eligible partners” as individuals, C corporations, foreign entities that would be a C corporation if domestic, S Corp, and estates of deceased partners. Partnerships, trusts, disregarded entities, nominees or other similar persons that hold an interest on behalf of another person, and estates other than the estate of a deceased partner are not considered eligible partners under the rules. Drawing the rules so narrowly promotes the IRS’s goal of pushing as many partnerships as possible into the new regime. To recap, when weighing the decision to elect out, be careful to ensure that your partnership has 100 or fewer partners (being mindful of the S Corp trap mentioned above), and that each of the partners are eligible partners under the regulations. Lurking in the wings, however, is the potential for the IRS to use judicial doctrines to recognize constructive or de facto partners or partnerships. We will discuss this other pitfall in greater detail next week. The IRS has issued final regulations regarding the new centralized partnership audit regime, referred to as the BBA regime. The regulations are effective as of yesterday, January 2, 2018.. We have blogged about the new rules here and here. These regulations implement the rules for electing out of the new audit rules. Here, we address how the regulations were updated from the proposed regulations issued over the summer. While it acknowledged that “the new rules are a significant change in the way partnerships have been traditionally audited,” the IRS rejected most of the suggestions made during the notice and comment period. It noted its inexperience in the operation of these new rules as the reason behind its rejecting most of the suggestions, but consistently left the door open for further rulemaking. Unfortunately, this does not provide certainty for taxpayers and means in the near future taxpayers must carefully review the rules to ensure they are compliant. This is especially true for taxpayers who may wish elect out of the BBA regime. A taxpayer wishing to elect out of the BBA regime may do so if 1) it has 100 or fewer partners, and 2) all partners are eligible partners. Under section 6221, a partnership is eligible to elect out of the BBA rules if it has 100 or fewer partners. Under now-final Treas. Reg. 301.6221(b)-1(b)(1)(i), a partnership has 100 or fewer partners if it is required to furnish 100 or fewer statements under section 6031(b), which generally requires a partnership to furnish a statement to each person that is a partner in the partnership during the partnership’s taxable year. This is a key issue because a partnership that fails to elect out of the regime or a partnership that attempts to elect out of it but cannot will find itself unexpectedly bound by these new rules. Several commentators had suggested that the IRS exclude pass-through entities or disregarded entities in determining whether a partnership meets the 100-partnership threshold. The IRS rejected those suggestions, noting that under section 6031, notice must be provided to each partner, regardless of whether the partner is a disregarded entity or a pass-through. The IRS also rejected suggestions that it establish a pre-filing procedure to address qualification issues. It did, however, leave open the door to further regulations on this issue, noting that it “may reconsider whether a pre-filing procedure would be helpful after gaining experience with the election out procedures.” It also left open the door for further regulations on the issue of how a partnership may elect out of the regime if it is found to be a constructive partnership or a de facto partnership. Under the regulations, if such a partnership exists and it does not file an election on a timely filed return for that taxable year, it will be bound by the new BBA rules. Treasury Regulation 301.6221(b)-1(b)(3) describes the types of partners that are “eligible partners” for the 100-or-fewer rule. Partnerships, trusts, disregarded entities, nominees or other similar persons that hold an interest on behalf of another person, and estates other than the estate of a deceased partner are not considered eligible partners under the rules. Commentators had requested that the IRS expand the definition of eligible partners to include partnerships, disregarded entities, trusts, individual retirement accounts, nominees , qualified pension plans, profit sharing plans , and stock bonus plans. The IRS rejected these suggestions and did not expand the definition of eligible partners because in its view “the interests of efficient tax administration outweigh” any additional administrative burdens created by a narrower definition. It appears the IRS was concerned about allowing more partnerships to elect out of the new regime, because it would require deficiency proceedings for each of the partners in such partnerships and result in substantially more audits. The IRS also addressed comments it had received regarding the timing for making the election and how it may be revoked. It left unchanged, for example, a partnership would be required to obtain the consent of the IRS to revoke an election out. It also did not address whether the election may be timely made on amended returns, stating that other areas of the code address this issue. In addressing these comments, the IRS has sent a strong signal that it favors the new BBA regime and may take an aggressive stance against those partnerships that attempt to elect out of it. It also broadcasts to the tax community that it cannot at this stage address all the issues that may arise under the new regime through regulations because it lacks experience with how these rules will work in the real world. This leave taxpayers in a bind because the IRS is uncertain how these rules will work in practice but is likely to favor one particular outcome. It is important that partnerships plan carefully and particularly if you are thinking of opting out of the BBA regime to ensure you are ready if the IRS decides to challenge that decision. Dentons is covering all of the latest news on the various tax reform plans that the United States Congress is currently considering. The latest about the Senate’s plan can be found here. According to Andrew Keyso, Acting Deputy Director of Appeals, the IRS will be issuing new guidance “within the next few weeks” regarding when it will hold an in-person appeals conferences. Recently, the IRS made waves when it revised the Internal Revenue Manual to limit when a taxpayer was entitled to an in-person appeals conference. The guidance gave Appeals the discretion regarding when to hold an in-person. In making the decision, Appeals was to consider a limited set of facts and circumstances, such as whether a taxpayer had special needs or whether Appeals would have to consider the credibility of a witness. A taxpayer could request one but the decision rested with the Appeals. The guidance was meant to dramatically limit the number of in-person conferences Appeals would hold. According to Mr. Keyso, after receiving substantial feedback from the tax community, the IRS will issue new guidance expanding the scope of when in-person meetings will be held. This is good news for the taxpayer. Once the new guidance is issued, we will blog about it. Please check back for updates. Serving as a vivid reminder that it is vital that a taxpayer comply strictly and completely with the charitable deduction regulations, the Tax Court recently denied a $33 million charitable deduction in its entirety and imposed a gross valuation misstatement penalty because the taxpayer did not properly fill out Form 8283. In Reri Holdings I, LLC v. Commissioner, 149 T.C. 1 (2017), a partnership donated an interest in a piece of property to the University of Michigan. The donor retained an appraiser who assigned a fair market value of $33 million to the donation. The taxpayer prepared a Form 8283 appraisal summary and included the form with its return. The form indicated that the donor had acquired the donated interest through a purchase but did not include an amount for the donor’s “cost or other adjusted basis.” Importantly, the Court does not state whether the taxpayer also attached the appraisal report prepared by the appraiser. The Tax Court denied the entire deduction solely because the Form 8283 did not list the donor’s cost basis. According to the court, Congress prescribed strict substantiation requirements when claiming a charitable deduction over certain amounts in order “to alert the Commissioner to potential overvaluations of contributed property and thus deter taxpayers from claiming excessive deductions.” A failure to comply with these requirements will result in a denial of the deduction, even if the amount of the deduction is correct. A taxpayer can sometimes avoid this draconian result if it substantially complies with the regulations. Critically, a taxpayer does not do so if it fails to provide sufficient information to alert the IRS to a potential overvaluation. That is precisely what the court determined happen here. By failing to list the adjusted cost basis of the property, as required by Treas. Reg. § 170A-13(c)(4)(ii)(E), the taxpayer did not comply with the regulations. Omitting the cost basis “prevented the appraisal summary from achieving its intended purpose,” as “[t]he significant disparity between the claimed fair market value and the price [the taxpayer] paid to acquire [the property] just 17 months before it assigned [the property] to the University, had it been disclosed, would have alerted [the IRS] to a potential overvaluation of [the property].” As such, the taxpayer did not substantially comply with the regulations and justified denying the entire deduction ab initio. The Tax Court also imposed a 40% gross overvaluation penalty on the taxpayer. After finding the fair market value of the donation was only approximately $3 million, subjecting the taxpayer to the penalty, the court rejected the taxpayer’s reasonable cause defense. Even though it had an appraisal, the court held that “a taxpayer must do more than simply accept the result of a qualified appraisal” and rejected, as immaterial, the taxpayer’s evidence of a second earlier appraisal that appeared to conform to the one prepared for the return. Though not the subject of this litigation, it is important to note that there may be consequences to the appraiser, as well. With a judicial determination that the value claimed was grossly overstated, the appraiser may be subject to, among other things, a penalty pursuant to I.R.C. § 6695A. If the IRS imposes a penalty on the appraiser, the IRS’s Office of Professional Responsibility (OPR) may also take action, see Circular 230 § 10.60, and can reprimand or even disqualify the appraiser. 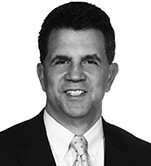 In a decision that could have far reaching consequences in both the civil and criminal tax realms, on June 27th, the U.S. Supreme Court agreed to review the conviction of Carlo Marinello, who was found guilty of obstructing justice by failing to maintain proper books and records and failing to file tax returns. The Supreme Court will likely settle a dispute that emerged among the lower courts about the proper scope of the obstruction statute under the Internal Revenue Code. The Supreme Court’s decision will have obvious consequences in the criminal tax world. That is plain. What is less apparent, is the power the decision could have in a civil audit. Depending on how the Supreme Court rules, it could provide the IRS a substantial criminal hammer to wield against taxpayers who dispose of, or fail to maintain, business records, even if they have no knowledge that a criminal investigation has begun. The Supreme Court will likely hear argument on this case in the fall and issue a decision sometime after that. We will keep you updated on the case, so be sure to check back. The below facts come from the opinion of the U.S. Court of Appeals for the Second Circuit. In 1990, Carlos Marinello founded a freight service company that couriered packages between the United States and Canada. He kept little documentation of his income and expenses, and shredded or threw away any documentation that he may have had. From 1992 onward, Mr. Marinello did not file personal or corporate tax returns. In 2004, the IRS received an anonymous tip and opened a criminal investigation into Mr. Marinello and his company. That criminal investigation was closed the next year because the IRS could not determine if the unreported income was significant. Mr. Marinello had no knowledge of that investigation. Around that same time, he consulted with an attorney and an accountant who advised him he must file returns and maintain proper business records. Despite that advice, Mr. Marinello did not do so. The IRS was not done with Mr. Marinello yet. In 2009, the IRS re-opened the investigation and interviewed him. Mr. Marinello admitted to not filing returns and to shredding most of his business records. The United States charged Mr. Marinello with nine counts of tax-related offenses. The conduct alleged in the indictment occurred prior to Mr. Marinello’s interview with the IRS in 2009. One of the offenses charged was for obstruction of justice under 26 U.S.C. § 7212(a). Section 7212(a) makes it a crime to “obstruct or impede . . . the due administration of this title.” The government alleged that Mr. Marinello violated this section by, among other things, “failing to maintain corporate books and records for [his company]” and “destroying, shredding and discarding business records of [his company].” Mr. Marienllo was found guilty of the offense. Before the trial court, Mr. Marinello argued that to commit obstruction of justice under section 7212, one must have knowledge of a pending IRS investigation. The trial court rejected such an argument, holding that all that was necessary was for the jury to find that Mr. Marinello intended to obstruct the due administration of the Internal Revenue laws. He appealed to the U.S. Court of Appeals in New York City. Before the Appeals Court, Mr. Marinello again argued that the obstruction statute requires knowledge of a pending investigation. A panel of the Second Circuit disagreed, holding that the statute “criminalizes corrupt interference with an official effort to administer the tax code, and not merely a known IRS investigation.” In doing so, the Second Circuit aligned itself with 3 other appeals courts. It also reinforced a circuit split, as the Sixth Circuit in Cincinnati, Ohio had reached a different conclusion on the same question. As Judge Jacobs warned, should the Supreme Court uphold the decision, a taxpayer should be weary about engaging in any of the conduct, such as disposing of business records, that landed Mr. Marinello in jail. As Judge Jacobs so succinctly put it, “How easy it is under the panel’s opinion for an overzealous or partisan prosecutor to investigate, to threaten, to force into pleading, or perhaps (with luck) to convict anybody” (emphasis in the original). Now, more than ever, it is important that taxpayers in civil cases are represented by competent counsel aware of the potential criminal pitfalls an otherwise cautious taxpayer may find themselves in. The new partnership audit regime, enacted as part of the Bipartisan Budget Act of 2015 (“BBA”), allows the IRS to assess and collect unpaid tax at the entity level, rather than from individual partners. The BBA is effective for tax years after 2017 and replaces the Tax Equity and Fiscal Responsibility Act (“TEFRA”). Under TEFRA, a partnership designates one of its partners as the “tax matters partner” (“TMP”) to act for the entity in proceedings with the IRS. Instead, in the BBA regime, that person is called the “partnership representative” (“PR”) and has far greater authority than a TMP. It is imperative that all partnerships understand the changes that are coming and prepare accordingly. Most significantly, the PR is the exclusive point of contact with the IRS and has the sole responsibility to bind both the partnership and all of the partners to his or her actions. At a conference on June 16, Brendan O’Dell, an attorney-adviser in the Treasury Department’s Office of Tax Policy, emphasized the significance of understanding the difference between the TMP and PR. Under TEFRA, the TMP was required to be a partner, and was subject to numerous obligations to other partners with regards to the partnership’s interactions with IRS. Under TEFRA, all partners other than the TMP had significant rights during an audit, including notification rights, the right to participate in proceedings and contradict the actions taken by the TMP. During the audit and administrative appeals, the TMP did not have the authority to bind the other partners. Conversely, under the BBA regime, the PR is not required to be a partner with “skin in the game” but rather can be any person, including a non-partner, provided they have a substantial presence in the U.S. Moreover, the PR has sole authority to bind the partnership, and all partners and the partnership are bound by the actions of the PR and any final decision during all stages of the proceeding (audit, appeals and litigation). This includes the power to bind the partnership and all partners to extensions of the statute of limitations and available elections. Other partners no longer have a statutory right to notice of, or to participate in, the partnership-level audit proceeding. Moreover, the decisions of the PR can economically impact the partnership, current partners, and former partners. For example, a PR has the ability to unilaterally decide whether an audit adjustment must be borne by the partnership or by the partners. Thus, this expanded authority granted to the PR is likely to lead to disputes, and potentially litigation, between partners and the PR. According to Mr. O’Dell, in the event of such a dispute, the IRS will not get involved and “will still treat the actions of the partnership representative as binding on the partnership and to those partners.” In order to alleviate such issues, the IRS emphasized addressing the authority of the PR in the partnership agreement before the BBA regime becomes effective, as many, but not all, of the powers granted to the PR under BBA may be circumscribed by the partnership agreement. These issues, thus, “put a lot of pressure on the front end for drafting agreements” and adding in adequate protections, O’Dell said. The IRS has made clear that once the new partnership audit rules are effective, it will exclusively communicate with and seek consent from the PR. Thus, any protection or notice afforded to partners, former partners, and the partnership must come from the partnership agreement.